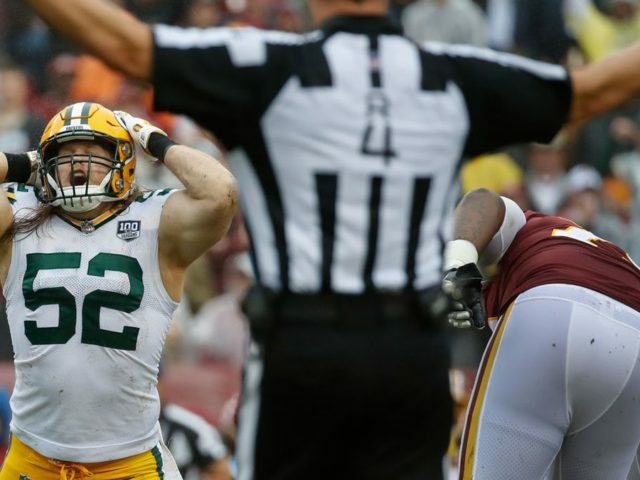 Packers: From Playoff Contender to Mediocrity – How Did We Get Here? It’s a word that fans use to keep themselves positive about their team. 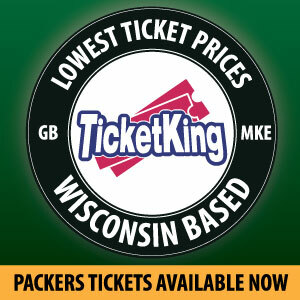 Unfortunately, the Packers fanbase (I’m guilty) had used it for the last few seasons. From Aaron Rodgers telling fans to R-E-L-A-X on Milwaukee radio to him saying the Packers would “Run the Table.” Don’t get me wrong, Green Bay was in the playoffs, won the NFC North and was making a Super Bowl run possible. This year, it’s not in the cards. Yes, bring up the injuries. Nick Perry, Kentrell Brice, Randall Cobb, Jimmy Graham, Mike Daniels, etc. It reads like an RSVP checklist at a wedding. How about the revamped coaching staff? Starting by firing quarterbacks coach Alex Van Pelt, letting Edgar Bennett walk out the door, but in exchange, they bring in cocky quarterbacks coach Frank Cignetti (who doesn’t know what big plays are when the media asks), Joe Philbin and Mike Pettine. The only saving grace is Pettine. the defense is absurdly banged up but his quick adjustments to his exotic blitzes keep the Packers in the game. They have improved (total defense is 12th in the league), but they don’t have the players around them quite yet. The chemistry between head coach Mike McCarthy and Aaron Rodgers? Just divorce already, you have the papers, the split custody of the fanbase has been agreed, just sign them. Their record from 2008-2016 was 93-50, 65% winning percentage and a Super Bowl ring. Since then, there is a lot of inner turmoil that is beginning to seep out to the public. The franchise still remains buttoned-up but we can see it from the sideline. Since the 2014 NFC Championship debacle in Seattle, this team has quietly gotten worse. From general manager Ted Thompson’s “swing and a miss” mentality in the draft with the likes of…Jason Spriggs, Kyle Murphy, Nick Perry, Quinton Rollins, etc. If I went on, I would put positional pictures on milk cartons across Wisconsin. Many draft picks (mostly busts) have been sent out the door by rookie general manager Brian Gutekunst. Damarious Randall (making a career in Cleveland), Ty Montgomery (Baltimore depth chart), Brett Hundley (shuddering, thankful he is in Seattle), and Ha-Ha Clinton Dix (with the morally laughable Redskins) all draft picks of the past four years. Gone. Packers fans (again including me) were not able to see it because of the special talents of Rodgers that led them to divisional wins, wild playoff victories but epic failure in the 2015 NFC Divisional Playoff at Arizona and the blowout in the 2016 NFC Championship at Atlanta. Leading back to the word I mentioned before. Optimistic about what though? That the Packers will rise up, win five in a row and make the playoffs as a wild card? It’s possible. The Vikings crumble, the Bears fall back to earth and the Packers win the unlikely division crown? Sounds more like a Disney World attraction for sports fans. The much-awaited pink slip for head coach Mike McCarthy and his offensive staff sent packing? I’ll raise my hand to that, but it will have to wait until the end of the season. There is no simple solution. The Packers are stuck in their own way, they don’t know which direction to go and will continue “chasing their own tail” until further notice. Five games left. Time to adopt not just a word, but a saying. Arizona comes to Lambeau Field on Sunday. Ok, that’s a good place to start. This entry was posted in Jake Turner, Packers 2018-2019 Season and tagged 2018-19 Season, Aaron Rodgers, Football, Mike Pettine, NFL, NFL Draft, Packers Talk, ted thompson, Ty Montgomery. Bookmark the permalink. Didn’t we go to the Championship game in 2016? Age and injury have made it more difficult for Rodgers to get out of the pocket. That’s not going to change if we fire McCarthy.